Agra is indeed an impressive place to visit: the warren of old streets and bazaars around it, Agra Fort, as well as a hearty sprinkling of mosques retains the ambience of the medieval period. The place is also known for Petha which are pieces of white pumpkin syrupy sweet and traces its origin in Agra. Agra’s history is rich in texture. Traces of history can be viewed today in every part of the city. Not much is known of the pre-Muslim history of Agra. It came to the centrestage of history when Sikander Lodi of the Lodi dynasty moved his capital here, ostensibly to keep a check on the warring factions of his empire. The ruins on the eastern bank of the Yamuna bear testimony to the splendor of the Lodi dynasty. 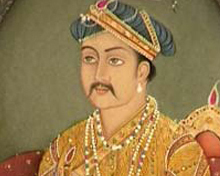 After the downfall of the Lodi Empire following the defeat of Ibrahim Lodi at the hands of fist Mughal Emperor Babur at First Battle of Panipat in 1526, Agra came under the control of Mughals. However, Agra's heydays arrived during the reign of Akbar the Great (1556-1605), who is credited to have built the magnificent Agra Fort. The city served as the capital of the Mughal empire for well over a century, when Shah Jahan, the fifth Mughal emperor moved his capital to a new city in Delhi. But Agra remained close to his heart, which is attested by his construction of Taj Mahal, built in memory of his wife Mumtaj Mahal. With the beginning of the collapse of the Mughal empire thanks to the intolerant policies of his heir successor Aurangzeb (1658-1707) towards non-Muslims, Agra began to decline and was occupied successively by the Jats, the Marathas, and ultimately the British. Though in later years, Agra began to lose its shine, its medieval wonders ensured its survival, and today the city is once again on the way of progress, as a travel destination as well as an industrial and commercial centre. With extreme temperatures in summers and winters, Agra has a temperate climate throughout the year. In summers, from April to June, the temperature remains between 45°C and 21°C and it gets quite hot while the winter season, from October to March, is the best time to visit Agra when daytime temperatures are pleasing. Do remember that in the months of December and January, it can get very cold. Agra is connected by air with major cites and places in India including Delhi and Varanasi. The nearest international airport is in Delhi which is connected with all the major capitals of the world. Agra is well connected by rail with major places and cities in the country. From Delhi you can board the Taj Express train which leaves the Hazrat Nizamuddin railway station in the Indian capital the morning and returns to Delhi each night. Good motorable roads connect the city of Taj with all the important places in India. The largest of Agra's monuments is Agra Fort, whose thick red sandstone ramparts rise above the bend in the River Yamuna. Work was started on the fort by Akbar in 1565 and it was completed by 1573. Situated 2.5 kilometers to the north-west of the Taj Mahal, the UNESCO World Heritage site of Agra Fort is also known as Lal Qilla. Within the enclosures of the fort are located many structures including palaces and mosques. Prominent among them are Moti Masjid, Shahi Burj, Diwan-i-Am, Diwan-i-Khas, Musamman Burj, Naubat Khana, Jehangiri Mahal, Khaas Mahal, Sheesh Mahal and Rang Mahal. India's most beautiful monument, the Taj Mahal was built by the Mughal Emperor Shah Jahan in 1653 AD in memory of his beloved wife Mumtaz Mahal. Built of white marble this perfectly symmetrical monument is a masterpiece of the Mughal architecture and took 22 years of labour and twenty thousand workers, jewellers and masons to build. It is the tomb of Mulla Shukrullah Shirazi (or Afzal Khan Allami) who was the wazir of fifth Mughal emperor Shah Jahan. The monument is one of the finest specimens of architecture where glazed and tessellated titles have been used for decoration. It was commissioned by Shirazi himself who was also a poet of eminence. He died in 1639 in Lahore. His body was brought to Agra to be buried in the mausoleum. A fine specime of Mughal architecture, the impressive tomb Itimad-Ud-Daulah was built by Nur Jahan, the wife of the Mughal emperor Jahangir, in memory of her father, Ghias-ud-Din Beg who received high office and was given the title of Itmad- ud- Daulah by the Mughal emperor. Itmad- ud- Daulah means ‘Pillar of the Government’. One of the earliest gardens built by the Mughals, Ram Bagh is located on the left bank of the Yamuna and is 5 km north east of Taj Mahal. It was built by the first Mughal emperor Babar for his daughter Zahra. When Babur died in 1930 he was buried here before permanently taken to Kabul where he lies buried now. Formely named Aram Bagh, it came to be known as Ram Bagh when Agra came under the control of the Marathas from 1775-1803 AD. Four km away from the Agra city, Sikandra is the place where the mausoleum of the greatest Mughal Emperor Akbar is located. The Emperor had initiated the tomb which was completed by his son Jehangir. Built of red sandstone and marble, the historical structre is worth a visit. Situated on the left bank of the Yamuna on the north of the Taj Mahal, Mehtab Garden is also known as the moonlight garden. During your stay in Agra, a tourist may wish to explore the places around the city of Agra. Fathehpur Sikri, about 39 km from Agra was built by the greatest Mughal emperor Akbar. Fatehpur Sikri was the seat of government from 1571 to 1585. However, the capital was abandoned due to the scarcity of water. Declared a UNESCO World Heritage Site in 1986, the complex of Fatehpur Sikri is home to Jama Masjid, royal palaces and courts. Firozabad, a famous handicraft centre known for glass ware, specially glass bangle, Mathura, the birth place of Lord Krishna, Keoladeo Ghana National Park in Bharatpur in Rajasthan and Shauripur , known for the ruins of Jain temples, are some of the important places that can be visited by using Agra as a base. Agra has a wide array of accommodation options to choose from to suit all budgets. Many of the affordable hotels in Agra are equipped with state-of-the-art amenities and are a perfect base from which to explore on foot and enjoy sightseeing of the city of Agra famous for its world beating landmark Taj Mahal. Taj Mahal was built by the sixth Mughal emperor Shah Jahan, in memory of his beloved wife Mumtaj Mahal. Other Agra hotels are located near the city centre ranging from three to five star accommodations that are perfect for holiday or business travelers. Oberoi Amarvilas and many other hotels in Agra are all ideally located in the center of Agra in close proximity of Taj Mahal. Taj gateway, Trident Oberoi, Jaypee Palace, ITC Mughal luxury, Clark Shiraz, Grand Imperial, Marina, Howard park plaza, Mansingh palace, Mayur tourist, Atithi, Amar and Grand are some of the famous hotels in Agra. ITC Mughal is a chic property located in close proximity of Taj Mahal. A wide variety of Agra hotels are available to meet the needs of the tourists. Whether one is traveling for pleasure or business, accommodation is a key part of their trip. Hence it is advisable to consider their choices carefully to make your stay in Agra a memorable trip. It is not without reasons that a restful night's sleep and comfort make the memories of a tourist far more vivid. 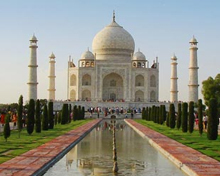 There are several Agra hotels in to choose from. If a traveller is visiting on a budget and looking for a cheap hotel or if the traveller wants to visit in style and enjoy the comforts of a luxury hotel with wonderful service, once in Agra a tourist can find accommodation to suit their taste. Whether one wishes to spend their time in a hotel in the hustle-bustle of Agra, or in the tranquility outside of the city, the right choice of hotel in Agra will determine your experience. The Agra hotels of times of India travel provider a good selection of hotels by location or star rating to help the tourists you find accommodation in Agra to match the requirements of the traveller. Search your wide range of hotels in Agra to select the one that is right for your next holiday. Just 600 meters from the wonderful Taj Mahal, The Oberoi Amarvilas in Agra is a five-story hotel where visitors can experience the royal ambience. The gold-domed grand gateway of the hotel is lined with 64 fountains. The 105 air-conditioned guestrooms and seven suites feature cable television, CD and DVD players, minibars, Internet access, safes, bathrobes and private bathrooms. The Oberoi Amarvilas Agra is a seamless blend of traditional Persian and Moorish influences with contemporary Indian interior design to provide the guests with a serene ambience next to Taj Mahal, one of the world's greatest monuments to love.